When Óscar and Marina decide to follow her they begin a journey that will take them to the heights of a forgotten, post-war Barcelona, a world of aristocrats and actresses, inventors and tycoons; and a dark secret that lies waiting in the mysterious labyrinth beneath the city streets. I've been a big fan of Carlos Ruiz Zafon for many years now and have read quite a few of his books. He's an author I always turn to when I want a guaranteed excellent novel and after all these years he hasn't disappointed me. Oscar meets the beautiful Marina in exceptional circumstances, he's just stolen a watch from her father by accident and when guilt claws at him he returns to the house to give back the watch. In a strange twist of fate Oscar finds himself with a new friend in Marina and a father figure in German, who the watch belongs to. 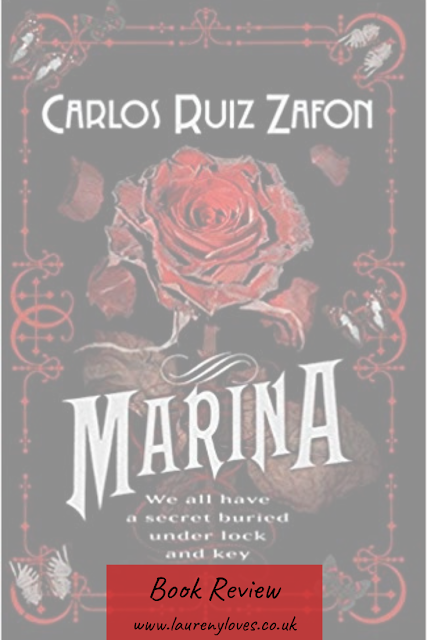 However Marina and Oscar get tangled up in a mystery that's haunted Barcelona for years and they're plunged into a strange world of missing people, odd creatures and the secret life of a once famous inventor. 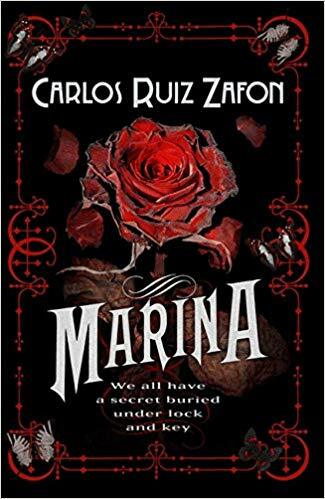 Marina is actually marketed as a young adult novel (and the last YA book Zafon wrote to my knowledge) but I find his YA books to be the exact same as any other book he writes. Marina was beautifully written creating a wonderful image of Barcelona and whisking you straight there. I always forget how mesmerizing Zafon's writing is until I pick up another one of his books and then I'm instantly in awe. I loved the mixture or mystery and supernatural in this novel and Oscar and Marina's relationship was so well written that you felt like you were there with them. It's honestly blown my mind that this is classed as YA fiction but it's made me excited to delve back into Zafon's other works. If you haven't gathered already Carlos Ruiz Zafon is probably my favourite author. There's not a single book of his that I've read so far that I wouldn't recommend to anyone, Marina included. Some of his adult fiction can be quite lengthy which doesn't bother me but I know some people prefer shorter books so if that's the case stick with the YA novels. What ever you choose you won't be disappointed!